GREENACRES, Fla. (July 25, 2016) – As part of its ongoing support of the community, Hoffman’s Chocolates is pleased to announce that it will celebrate the start of the 2016/2017 school year by holding a Backpack Donation Drive to benefit Palm Beach and Broward County elementary school students. 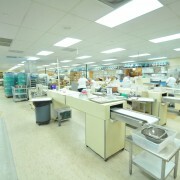 As part of the Backpack Drive, Hoffman’s Chocolates will be will be giving away FREE Hoffman’s Chocolates Factory Tours to anyone who donates a new school backpack from July 25 – August 15 at participating locations which include the chocolatier’s stores in Greenacres, Lake Worth, Palm Beach Gardens, Fort Lauderdale, Hollywood, Plantation and Weston. The FREE Hoffman’s Chocolates Factory Tours will take place on Saturday, September 10th from 9 a.m. – 5 p.m. “We are pleased to be collecting backpacks for the children of Palm Beach and Broward County,” said Lois Marino, Director of Marketing for Hoffman’s Chocolates. “For over 40 years, Hoffman’s Chocolates has been supporting our community and we are proud to carry on the tradition by creating a back-to-school drive.” Hoffman’s Chocolates will donate all of the collected backpacks to elementary school students in Palm Beach and Broward Counties. Each backpack donor will receive 2 vouchers that can be redeemed for FREE Chocolate Factory Tours at Hoffman’s Chocolates Factory, Shoppe, Ice Cream Parlour and Gardens, located at 5190 Lake Worth Road in Greenacres. During each sweet 15-minute tour, participants will receive a firsthand look at how Hoffman’s scrumptious gourmet chocolates and confections are melted, molded, carved, and wrapped. 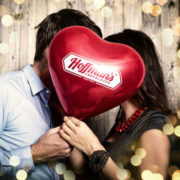 In addition to the tours, Hoffman’s Chocolates will also feature samplings of its gourmet chocolates and confections. Reservations are required for the Chocolate Factory Tours and will be scheduled on a first come, first serve basis, as space is limited during each time slot. Children ages 17 and under must be accompanied by a parent/guardian on the tour. The modest facade of Hoffman’s Chocolates’ Swiss-cottage-style workshop in Greenacres doesn’t give it away, but a serious amount of chocolate is made there daily. Dozens of chocolatiers create about 15,000 pounds of treats a day, or about a pound per each square foot of the property every 24 hours. And shoppers can see their treats being molded, carved, melted and wrapped through a window the factory shares with a Hoffman’s Chocolates store on the premises — no golden ticket needed. Hoffman’s Chocolate Factory, Shoppe, Ice Cream Parlour and Gardens in Greenacres will be hosting a Wednesday Children’s Chocolatier Class from 10:30 a.m. – 11:30 a.m. June 18 through August 13. In addition, Hoffman’s Chocolate Shoppe in Greenacres will also be offering a special Ladies Night event on from 7 – 9:30 p.m. June 24. During the weekly, one-hour, Children’s Chocolatier Class, kids 6-12 years old, will learn chocolate dipping and decorating to become creative chocolatiers. Each will create several sweet masterpieces, including three chocolate-dipped snacks and a chocolate pizza, which they will be able to enjoy in class. The Children’s Chocolatier Class costs $14.95 per child.